If you have been arrested in the Tampa area for DUI in violation of statute 316.193, you may have questions about a blood test. Only a qualified attorney such as those of the law firm of Finebloom, Haenel & Higgins can give legal advice regarding the specifics of your DUI blood draw and your possible defenses. If you have been subjected to a blood test in conjunction with a DUI arrest, or if you asked for a blood test and were denied, call Finebloom, Haenel & Higgins now to discuss your case. We are available 24/7 to speak with you when you call 813-200-4122. Am I entitled to a blood test? In the State of Florida you are not entitled to be given a blood test instead of a breath or urine test. However, if you take the breath test and/or urine test, the officer is required to give you reasonable access to an independent blood test at your own expense. Many times this “reasonable access” consists of giving you a phone book in the booking area. If you submitted to a breath and/or urine test and requested a blood test at the jail, call the attorneys of Finebloom, Haenel & Higgins now to discuss your case! Can the officer force me to take a blood test? This means if the officer thinks you really hurt a person, or if you kill a person while driving, and the officer has probable cause to believe that alcohol or drugs were a factor in the accident, they can force you to give blood. If you do not cause serious bodily injury or death, they officer cannot physically force you to give blood. There may be other circumstances where the officer can ask you to submit voluntarily to a blood sample. In those cases you may or may not have a right to refuse. If you have been asked to give blood for a DUI case, call the attorneys of Finenbloom, Haenel & Higgins. A responsible and knowledgeable attorney will discuss the situation with you and advise you how best to proceed. Are the results of a blood test admissible? If the blood test was taken properly, and under legal circumstances, the result is admissible against you in court. to determine if the blood draw was taken legally and properly, you will need to consult an attorney. At Finebloom, Haenel & Higgins we are familiar with blood draw protocol. We are happy to assist you in determining if your blood test can be used against you in court. No matter what the circumstances surrounding your blood draw or blood draw request, we at Finebloom, Haenel & Higgins are available to discuss your options. Our attorneys are familiar with the laws surrounding blood draws and DUIs, and we have the experience necessary to help you. 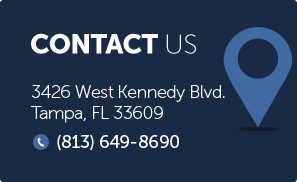 We are available 24/7 for consultation by calling 813-200-4122. Call us now and we will assist you in obtaining the best outcome for your situation.